Gambling in general, and online gambling in particular, has always been a point of contention for the governments. During the course of history, the ‘rulers of the land’ have tried to reign the gambling industry in by introducing a variety of restrictive laws. As the world around us evolves, these rules change to more liberal in some places, or even more restrictive in others. Here at HitCasinoBonus, we list the best online casinos, and obviously we provide transparent information whether the online casino is restricted in your country or not. Are We to See the Full Online Gambling Ban in Russia? Online gambling in Russia is legal, at least it is at the moment. However, the reports about the planned legislations in this country make one doubt the future of this industry. Nothing is set yet, but Russian news portals provide information that the lawmakers are to debate a law that would prohibit people from playing on ‘not approved websites’. See our list of restricted casinos in Russia. The purported piece of legislation is supposed to work by making banks, as well as other financial organizations, ban transactions with said websites. The actual ‘black list’ of unapproved websites hasn’t been released yet, but the very idea of it is highly concerning. According to official statements, the purpose of this legislation is to motivate Russian players to go to their own land-based casinos, or, at the very least, local online platforms. This is definitely understandable from the government’s point of view as recent reports claim that Russians contribute over $3 billion into the worldwide gambling industry. However, such a tremendous amount of state control over financial transactions of its citizens doesn’t sit well with many people, not only Russian gamblers. A similar law was proposed in 2015 but it never came to pass as massive amounts of criticism prevented its progress. The fact that a new variation of the same restriction is offered for ratification so closely after the failed attempt indicates that the government is extremely serious about this. Considering the contribution of Russian players into the industry, removing their ability to play at major international portals would definitely shake the world of online gambling as we know it today. The Government Vs. ODP: Who Will Win in the Restrictions of Gambling in Kenya? The gambling industry in Kenya is worth several millions of dollars, and it’s currently facing the threat of being changed beyond all recognition. However, considering the political implications of the proposed legislature, it’s yet unknown whether the suggested restrictions would be imposed. These severe measures would definitely transform gaming in Kenya, but the lawmakers believe that it’s a necessary move to solve the gambling problem in the country. It’s been reported that 7 out of 100 schoolchildren have had some personal experience with gambling, and the problems associated with this are becoming a massive issue for Kenyans as a nation. However, the current government of Kenya has just offered a legislature proposal of its own. Its terms are very similar to the one supported by ODM, but considering the situation in the country, choosing one over the other would create a variety of complications on the political arena. As a result, Kenyan citizens currently can enjoy their gambling industry as is because it would definitely take some time for the two political powers to determine whose law should be passed. Online Gambling in the US: Is There Some Hope for Legalization? Under the Unlawful Internet Gambling Enforcement Act of 2006, online gambling in the US is banned. 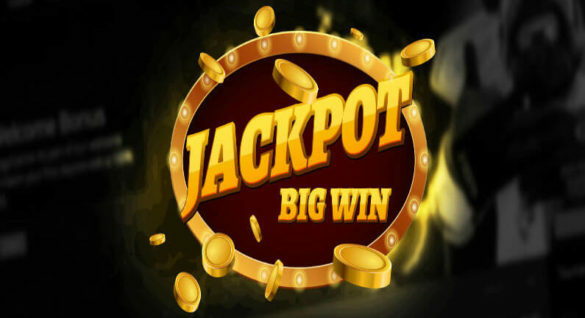 Millions of Americans are definitely disappointed by this tight restriction, and quite a few of them are looking for alternative ways to enjoy playing in online casinos. This is a challenging task as the majority of reliable portals don’t accept players from the US, so for them every game becomes a gamble in more ways than one. However, state-by-state, the Americans seem to be shaking off the restrictive legislation. Most recently, the people of Pennsylvania have tried to legalize online gambling in their region. As the reason for the proposed legislation, the gaming proponents claim that it can become a source of valuable income for the state. From this point of view, the offer seems very attractive as this boost in revenue doesn’t require increasing taxes. Whether the gaming expansion in Pennsylvania comes to life is yet unclear, but the hopes are high, especially with the Presidency of Donald J. Trump. It has been rumored that the gambling industry in the US would see some positive changes under his rule as a major figure in the gambling industry served as his main support throughout the election campaign. No clear claims have been made yet, but the number of legislation proposals has been increasing recently.